Guocoland declared 7c DPS and is AK selling? 1. AK does not issue BUY, SELL or HOLD calls. AK is just talking to himself here in ASSI. 2. Whether AK is keeping for dividend or selling his investment should have no bearing on your decision to keep or to sell or, indeed, to buy more. Ask yourself why did you invest in Guocoland in the first instance? 3. Similarly, the fact that another blogger has sold his investment in Guocoland should not mean that you should sell too. He probably had a plan. What is yours? I believe that Guocoland will have the ability to pay better dividends as its flagship property in Singapore, Tanjong Pagar Centre, matures. The fact that Guocoland has declared a DPS of 7c which is higher than the year before shows their willingness to reward shareholders better in tandem with a growing ability to do so. To an investor for income, the ability and the willingness of a business entity to pay meaningful dividends is a key consideration in the decision making process. 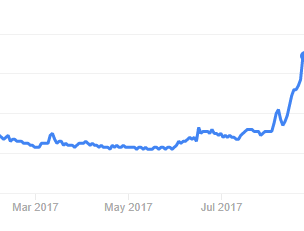 Why did I invest in Guocoland at the price which I did earlier in March this year? Please see related post below. Evilbdboi I echo similar sentiments.People have the tendency try to mirror their investment/trades of bloggers or gurus. Perhaps they feel safer following and finding strength in numbers. but when things turn sour they start to play the blame game. I am sure AK knows it way too well. That being said I think it is okay to get investment or trade ideas from bloggers and gurus, but plans(eg: profit taking, stop loss, duration of investment) should come from oneself. The pass 4 years ignoring FY16, DPS was 5cents. With the property sector picking up and the increased DPS of 7cents. That is quite a reasonable to continued collect dividends(3.8% not bad) while we await the price to hit TP. In your first post on your purchase of Guocoland, you mentioned recurring income as being applicable to Guocoland. This puzzles me because I thought Property Developer companies have lumpy revenue (when properties are sold) and no recurring income. Where does the recurring income come from? Hope to get your reply soon. When I look at Capitaland and how it trades at only a 10% discount to NAV after growing its recurring income, I feel that Guocoland should, over time, trade at a smaller discount to its NAV too (which is currently $3.18 a share). Could Mr. Market one day pay $2.86 a share for Guocoland? Day dreaming? Perhaps. Maybank Kim Eng has a TP of $2.75 for Guocoland. Small free float, low trading liquidity and lack of analyst coverage are reasons for steeper discount valuation when compared to larger peers. Gradual stabilization of Tanjong Pagar Centre will lift recurring earnings to over $140 million a year from $40 million in FY16! The asking price for a new three-storey Singapore penthouse, complete with a private pool on the 64th floor, has reached a dizzying S$100 million. Due to be formally unveiled later this year, the Wallich Residence penthouse is in the tallest building in the Republic. 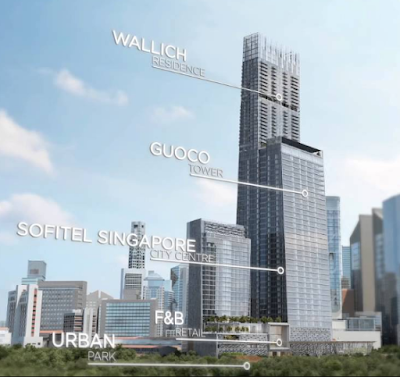 The “bungalow in the sky” penthouse in the GuocoLand-developed Tanjong Pagar Centre, is likely to become Singapore’s most expensive apartment. "The public — through business journalists and investors — hang on her every word, and what she says can move the market." A day might soon come when this statement aptly refers to AK as well. I will be in trouble with the authorities if that comes true. So, I hope that day never comes. -.-"
Hi AK, there are about 750 companies listed on SGX, how do you manage to filter out stocks that will pique your interest? Are you always constantly reading on different companies everyday? I checked their dividend history and found that they are paying 0.08 in 2005-2011. And then reduced to 0.05 in 2012??? I remind myself that all investments are good investments at the right price. Guocoland's share price went as high as $5.85 in 2007. Look at the share price now and an 8c DPS hardly matters. As you seem to have a preference for REITs and a more consistent and higher yield, most property developers would not interest you. 40% of the group's FY18 profits to stem from recurrent sources of income. Office tenants to move into TPC in 2H18. Sofitel Singapore City Centre to start operations in September. Damansara City in KL has secured 100% commitment for its office component and 80% commitment for its retail component. I do buy property stock as well but only those with yield reflecting its dividend growth rate. How big the discount to NAV is not a big consideration for me. So Guocoland will not be on my list unless it dropped.....a whole lot from current price. It is the nature of their business that earnings are lumpy for property developers. So, I wonder which property developer have you bought into? With improving fundamentals, everything else remaining equal, it is unlikely that Guocoland's stock price would drop a whole lot from here but if it should happen, it would probably be a great opportunity to accumulate. SINGAPORE — A plum commercial site at Beach Road has attracted a bullish top bid of S$1.62 billion from property giant GuocoLand, showed Urban Redevelopment Authority (URA) data after the close of tender yesterday. The 99-year leasehold site, launched on July 6 from the Reserve List of the Government Land Sales programme, has a maximum permissible gross floor area (GFA) of 950,592sqf. A minimum of 665,424sqf must be developed for office usage, while the balance GFA can be developed for hotel, serviced apartments, residential or retail uses, subject to a maximum of 32,292sqf for retail. The former Beach Road Police Station on the site has to be conserved and restored under the tender requirements. The top bid from GuocoLand subsidiaries GLL Prosper and GLL Thrive, which beat four other bids, translates to S$1,706.30 psf per plot ratio, showed the URA data. It edged out the second-best bid of S$1.57 billion from Kingsford Hurray Development by 3.2 per cent. I wasn't sure what redponza meant when he thinks perceive "value" with DPS and even at 30-38% below NAV he still doesn't find it attractive. If you are looking for better distribution you can consider REITS? Guocoland Interestingly it ran up faster than expected. While it has reach a point I will usually sell( Not the price I will buy), I've decided to leave it at least for awhile more considering the current pick up in the property market, I think there is room for more upside. I always welcome a good discussion based on sound reasoning. However, for many people, it is difficult to maintain objectivity 100% of the time. I try to remember that as long as our decisions are based on sound reasoning, we should do well enough most of the time. Do you think their 7 cents DPS is sustainable going forward ? I based my investment decision on a more normalised 5c DPS.